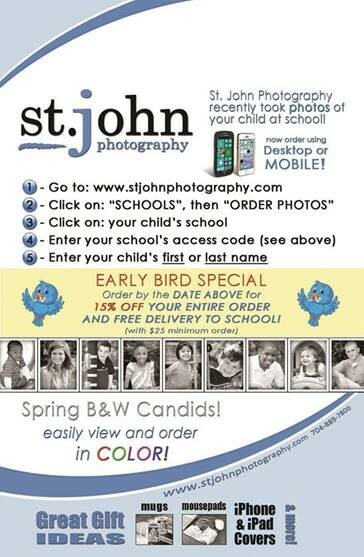 St. John Photography is offering an early bird special on cap and gown group and individual pictures. The deadline date is May 18. Click here to view the flyer and important information regarding ordering your student's picture. Please note the school access code is LKCC. Thank you to all the parents, students and staff who came out to support our talented students at last Saturday’s annual high school talent show, Saturday Knight Live. We hope everyone enjoyed the show, and a big congratulations to Haley Vogel who won the Celebrity Judges' Award, and to Carsyn Yates and Jordan Hall for winning the Audience Choice Award. Thank you also to everyone who participated. Truly, it was a Knight of Legends! Interested in HS Cheer for the 2018-2019 season? We would love to have you attend try-outs to continue our tradition of excellence. Try-outs will be held NEXT week May 14-17 after school from 3:00-5:00pm. Please visit our cheer website for more information and to fill out the google form for try-outs: http://lncscheer.weebly.com/try-out-information.html. We hope to see you there! On Monday, May 7 we kicked off exams at the HS, beginning with our advanced placement courses. Please click on the link below to see the dates and times for your student’s exams. It is very important that your student attend school on his or her scheduled exam day and time. Students are not allowed to take any exams before the scheduled day. Please do not schedule any travel or appointments that conflict with your student’s exam. We have designed the schedule to position your student for success by providing our teachers time to review and students time to prepare. Remind your student to get good sleep the night before the exam and eat a healthy breakfast the morning of the exam. Thank you for supporting your student’s success! Please be reminded that community service forms are due by Friday, May 25. Students should submit these completed forms to their 7th period teachers by May 25. If your student does not have a 7th period class, the service forms should be submitted to the front office. High school students at Lake Norman Charter are required to perform a minimum of 2.5 hours of service per quarter for a total of 10 hours per school year. Service is defined as a physical act of goodwill that is done outside of the student’s home and without compensation or gain. The service log can be found in the Resources folder on any of the "class of" groups in Schoology. The service log must be completed in its entirety with signatures validating the service performed. Seniors must have all 40 hours of community service approved in order to participate in the graduation ceremony on June 2. Senior Class Council is excited to announce that the senior class trip will officially be to Universal Studios on February 28 - March 3, 2019. Senior Class Council is excited to continue this tradition! Please see this link for important trip information including deposit deadlines and the required permission slip. Are you interested in providing your student with the amazing opportunity to experience new cultures, try new foods, see World Heritage Sites, and explore the world in a safe and exciting way? If so, there will be an informational meeting for the Spring Break Trip to Peru on Tuesday, May 22 at 6:30pm in room 101. The Schoology group code is XKQN5-RBC8R and a detailed tour itinerary is available here. If you have any questions, please do not hesitate to reach out to Mr. Awbrey at jawbrey@lncharter.org. See what students, teachers and parents are doing on campus this week!